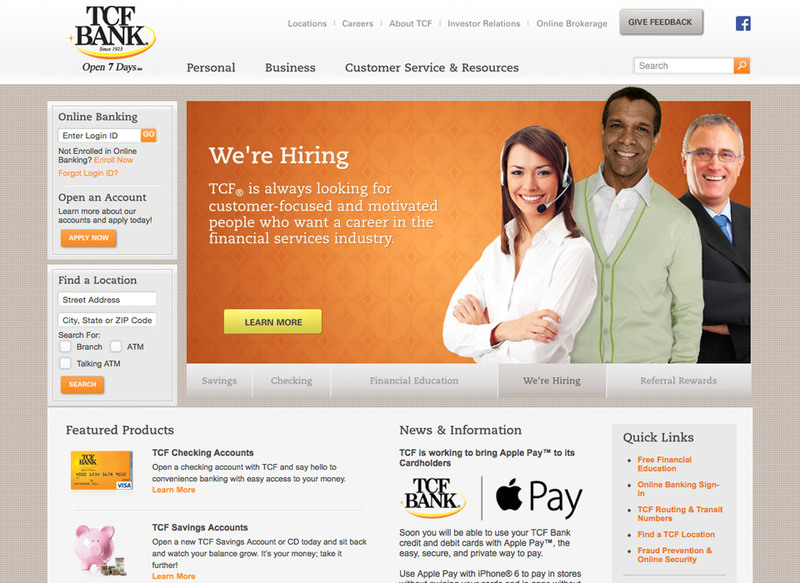 We redesigned TCFBank.com twice over a 7 year period. 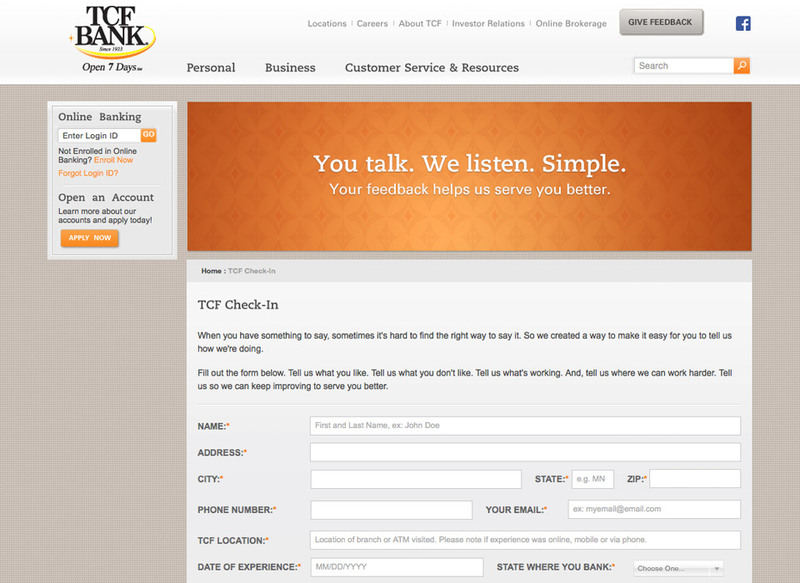 During that time we also designed in-store signage and product collateral. 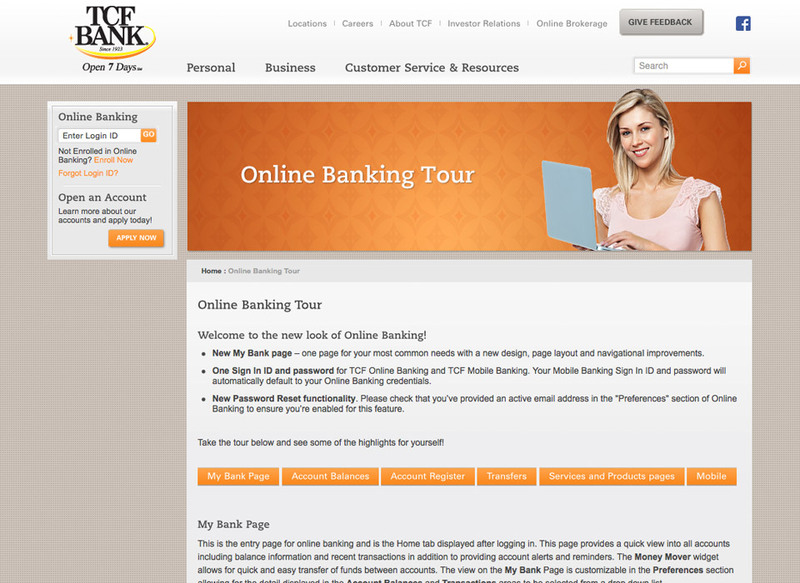 The goal of the most recent website redesign was to make the online banking access global across the entire website. 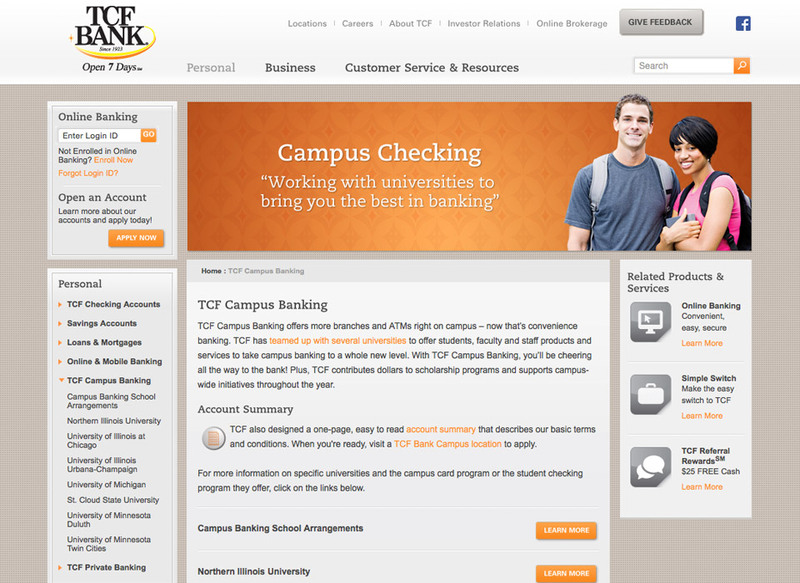 We conducted research to determine the most optimal location for the login and the text used in the login area to help insure users were not confused. We also strategized on the most optimal way to drive users to open an online account or register for new products online throughout the website. Our research also informed us on how best to present bank products and information to the Personal and Business banking segments. 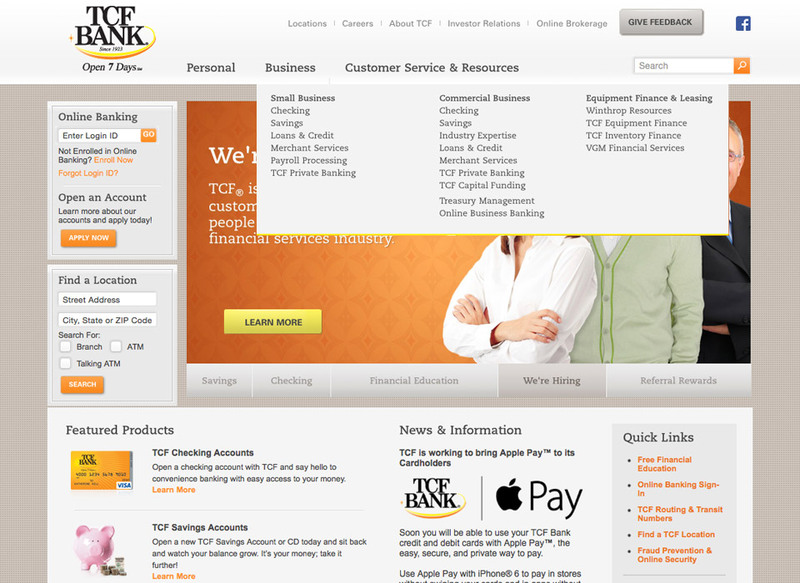 The mega navigation enabled us to provide greater visibility to the various products available across the site. 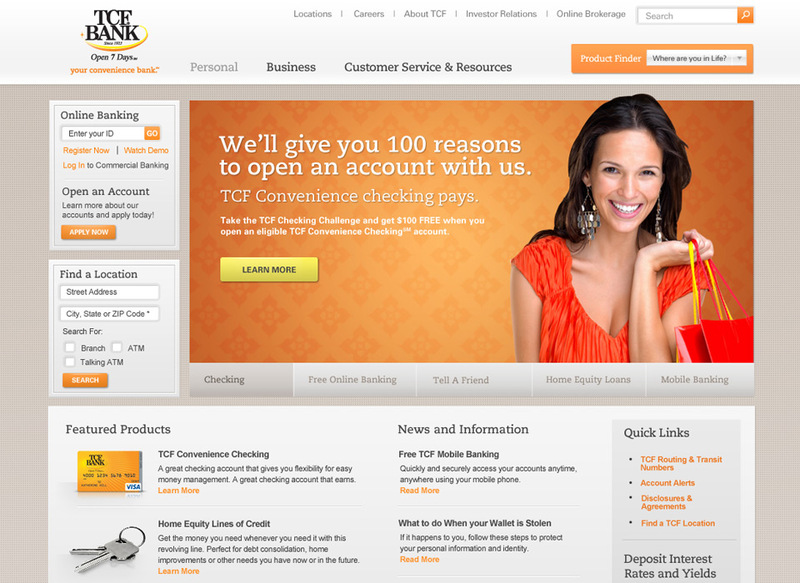 A homepage feature slider enabled the client to customize up to 5 different tabs for highlighting products or services. 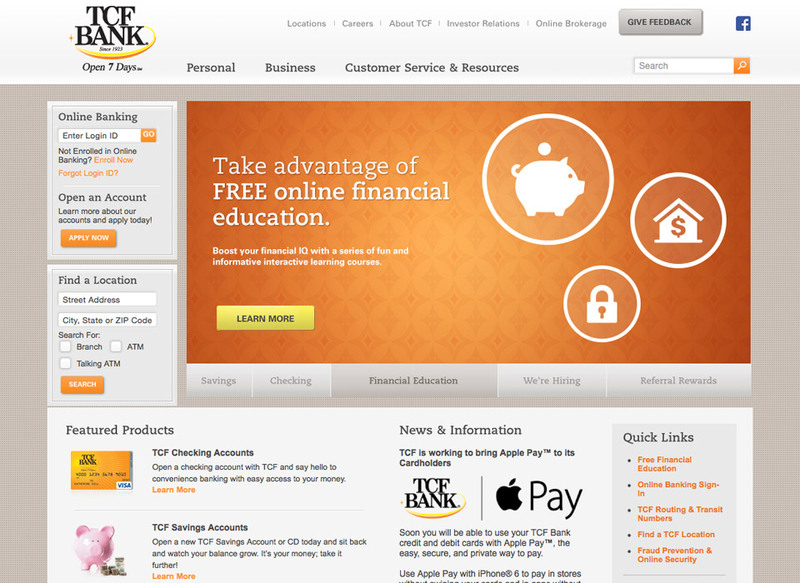 The site also enabled users to easily compare checking programs with a Comparison Chart, use a Product Finder to discover bank offerings that may be beneficial in relation to where they are in life, use various online calculators for purchasing a vehicle or applying for a mortgage, view video tutorials, download marketing collateral, and log in to their bank account online. 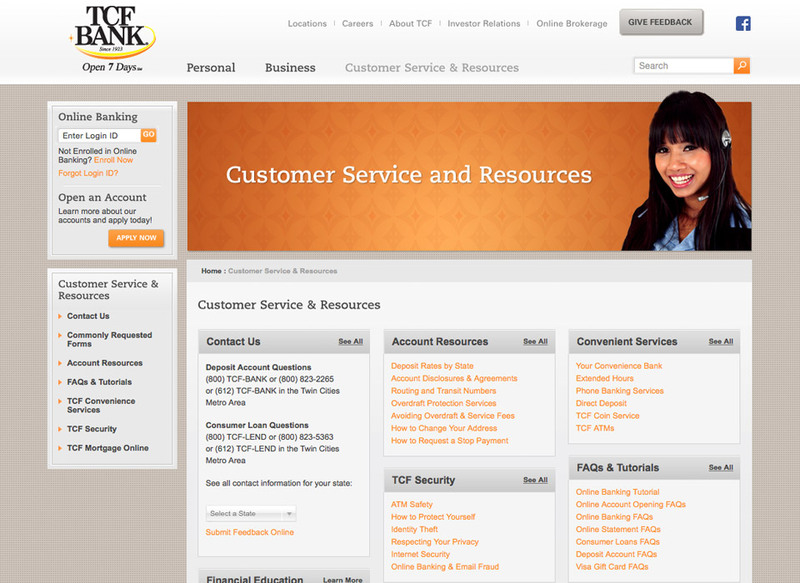 This site was written in Microsoft Asp.NET utilizing the custom C4 CMS Platform.